Should NYCHA Be Treated Like a Private Landlord? Wyckoff Gardens in Gowanus, Brooklyn. Reports of failed heating in numerous public housing developments during last week’s cold snap once again has advocates and elected leaders decrying the decrepit state of public housing. Last Saturday, New York City Comptroller Scott Stringer announced he’d launch an audit of NYCHA’s heating systems and that an initial analysis revealed that since July, NYCHA’s reported rate of defective boilers is 39.5 percent—five times the citywide average of 7.9 percent. On Wednesday, the New York Post , reported that Councilmember Ritchie Torres and other councilmembers were sending a letter to the mayor demanding funding to repair failing heating systems. One advocate, LaShawn Henry, an East Harlem district leader, said the heat failures at Taft Houses—plus a news report that NYCHA had been exempted from new regulations governing indoor allergens and mold remediation—has her wondering why NYCHA can’t be treated like any other private landlord. The city maintains separate complaint-reporting systems for residents of private housing and residents of NYCHA. Private residents call 311 and their complaints are publicly reported in city databases. NYCHA residents call the NYCHA Customer Contact Center, and those complaints are not listed in any public database, though residents can track and manage their work orders through a new app program called MyNYCHA. The city sends investigators from the Department of Housing Preservation and Development (HPD) to inspect problems in private housing and to issue fines, while NYCHA sends investigators employed by the authority, and does not fine itself. HPD will only get involved in inspecting a NYCHA unit if it is mandated by court order. The city’s two new regulations on allergens and mold remediation exempt NYCHA. And NYCHA has special latitude when it comes to land use, as well: if NYCHA seeks to redevelop or rezone public land in its jurisdiction, the authority is exempt from the public review process known as the Uniform Land Use Review Procedure (except in specific circumstances when seeking certain kinds of regulation waivers). Henry is not the only advocate who would like to see NYCHA treated more like a private landlord, with more outside oversight, when it comes to tenant complaints. A 2013 editorial by former Urban Justice Center lawyer Denise Miranda made the same case, writing that HPD “should — just as it does with private landlords — inspect all requests for repair, post them on HPD’s website, and hold NYCHA accountable for their timely repair.” A 2014 report calls for the same. And in a recent blog post calling for an independent monitor to ensure the authority’s compliance with lead regulations, the Community Service Society’s president David Jones wrote that outside oversight is also needed for tenant complaints. A few NYCHA residents whom City Limits interviewed liked the idea of HPD conducting the repair inspections, though they also pointed to other problems like a lack of adequate staffing, too many separate work orders involving different contractors, and especially NYCHA’s funding challenges as the central issues driving repair delays. 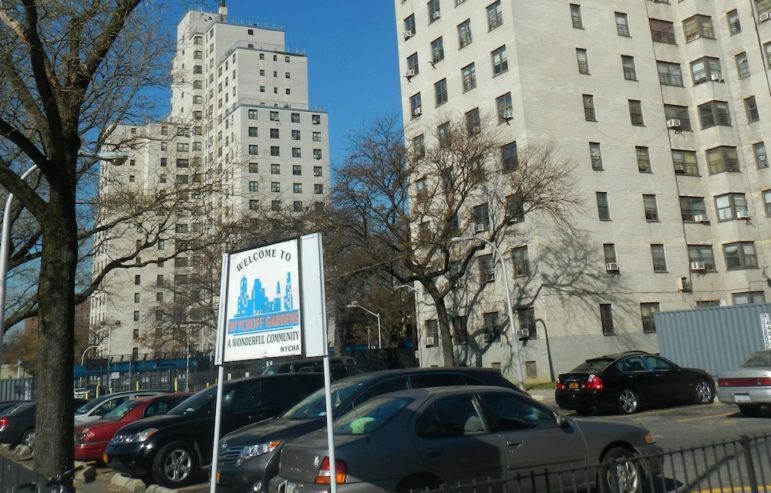 There are also arguments to be made for why the city has a legal requirement to enforce its code in NYCHA buildings—though the issue has never been adjudicated in a court. The de Blasio administration has recognized the need for other city agencies to take on more of NYCHA’s burden, and has already made efforts in this regard by, for instance, ending the two-decade practice of requiring NYCHA to pay for certain police services. NextGeneration NYCHA, the authority’s 10-year plan, notes that it will aim to reduce costs “by transferring responsibility for certain central office functions…to the City agencies that perform similar functions.” The “customer call center” is even listed among a number of “redundant” services. The city is not, however, making moves to change the way NYCHA handles repair violations to be more in line with private landlords. City Hall says NYCHA’s own repair maintenance investigators are just as competent as HPD’s staff and that NYCHA has made its data on violations significantly more transparent. “NYCHA tenants deserve to receive the same level of service as residents of private housing do, which is why we have launched the My NYCHA app and NextGen Operations,” wrote Olivia Lapeyrolerie, a spokesperson for City Hall, in an e-mail. NextGen Operations is a new system of decentralized property management that places more power in the hands of each development’s staff with the goal of delivering more efficient service. Torres also doesn’t fully buy the idea that NYCHA should be treated like private landlords when it comes to oversight on repairs. “The landlord is not so much NYCHA. NYCHA is the legal structure. The landlord is the city,” he says. “Most of the problems in public housing are the result of willful disinvestment from public housing, rather than internal mismanagement.” He adds that if there was a way to hold elected officials accountable for the disinvestment in NYCHA, he would be all for such a measure. Beverly Handy of Wyckoff Gardens says that the Customer Contact Center and MyNYCHA App “would serve its purpose if you had the manpower to maintain it.” The problem, she says, is mainly that the small maintenance staff simply cannot take care of so many repair problems across buildings. Mary McClary, a resident of Queensbridge Houses, wonders if it’s better that NYCHA residents have their own Customer Contact Center: perhaps it makes for faster response times, she says. (The Customer Contact Center, created during the Bloomberg years, was intended to create a centralized point of contact to receive tenant complaints and schedule repairs.) She says that one of the main reasons repairs take so long is it takes many visits from various kinds of contractors for a single issue to be repaired in an apartment. Though they don’t have issues with the Customer Contact Center itself, Handy and McClary see the merits of having an outside agency conducting inspections. “It wouldn’t be so much like ‘policing yourself,’” McClary says. Glen Collins, the Tenant Association President at Redfern Houses, also likes the idea of an outside agency analyzing the repairs—an agency that is dedicated to helping the residents, not in making itself look good—and also criticizes the call center as inadequately staffed and providing unreliable information. Aixa Torres, resident association president at Smith Houses, feels that maintaining two separate housing maintenance complaint systems is unjust, given that NYCHA residents pay taxes and rent like other city residents. “It’s like discrimination…There should be no reason why we can’t file a complaint like everybody else,” she says. Aixa Torres says that sometimes the separate systems don’t make logical sense. If a NYCHA resident calls 311 to report that a non-NYCHA resident is dumping trash on NYCHA grounds, 311 will immediately refer the call to the NYCHA Customer Contact Center. But, she says, NYCHA has no jurisdiction to fine a non-NYCHA resident for dumping trash. By NYCHA’s own reports, there’s been a significant reduction in service response times for basic maintenance under the de Blasio administration—from 134 days in 2013 to less than five days in 2017. Still, “having an HPD inspector and certifying that the violations that were recorded have not been cured provides the resident with evidence in housing court that the owner is as fault,” Bach says, which would make it easier for NYCHA tenants to sue in housing court for non-completion. Currently, since there are no public records of violations for each NYCHA building as there are for private buildings, it can be more challenging and time-consuming for NYCHA tenants to sue the authority, says attorney Rajiv Jaswa at the Urban Justice Center’s Community Development Project. When a NYCHA tenant does take a case to housing court, however, a judge can require an HPD inspector to assess the maintenance problem and give NYCHA a deadline for repair. The 2014 Community Service Society report agrees with Torres that fining NYCHA for repair problems doesn’t make sense. But District Leader Henry would like to see HPD fine NYCHA and the proceeds be placed in an escrow account geared toward emergency maintenance and other repairs. In such a scenario, it’s unclear whether payments for such fines would come out of the city’s budget or NYCHA’s existing budget—and in any case it would likely not resolve the $17 billion capital deficit looming over the authority. Even if her idea doesn’t work, Henry says, there needs to be some new system of accountability for the authority and for the city—and, most crucially, more sources of funding for repairs. But Bach still thinks it would be better if NYCHA residents had access to outside inspections. “Even the 311 system and HPD inspections and code enforcements is imperfect…but I think it’s far better than what NYCHA residents have access to,” he says. 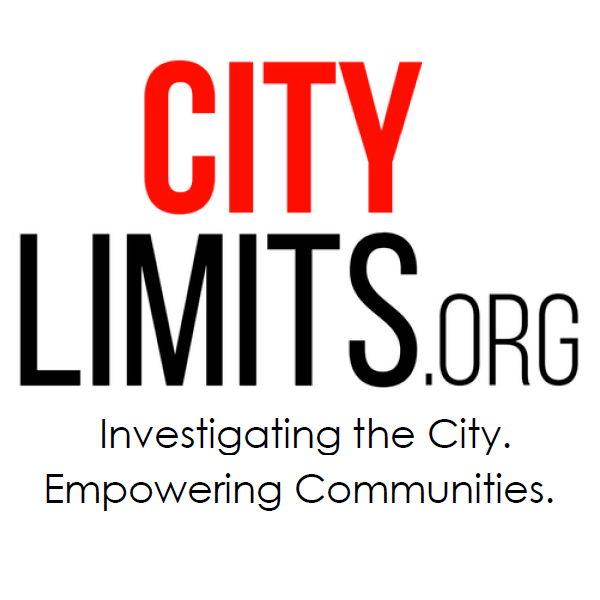 Councilmember Torres agrees with the Community Service Society and the Urban Justice Center when it comes to the issue of information transparency. He says he’s long felt that the NYCHA Complaint Call Center should be integrated with the 311 system and that information about NYCHA resident complaints and about violations should be publicly available. HPD Online allows anyone to look up a private building address and see the violations logged at that address. On Open Data, one can also access a list of complaints and violations by private building address. While NYCHA residents can look up their own work orders, no information about individual complaints is available to the public. The De Blasio administration has taken some steps toward greater transparency, however. The new NYCHA Metrics web page discloses information such as the number of open work orders per development, the citywide average time it takes to complete each category of repair work, and other statistics. But Bach says there needs to be more granular data, the same that’s available for privately owned buildings. The granular detail that would emerge might also help the authority and the city know “where to devote the limited resources they have,” says Jaswa—including where an investment today could prevent a bigger, costlier problem tomorrow. And HPD has “a system that everyone knows and understands throughout the city, in terms of what’s a violation and what has actually been fixed, and there’s a certification process for removing violations,” Jaswa says, suggesting HPD’s involvement would also add some level of standardization to the analysis of repair problems in NYCHA buildings. According to his own interpretation of state laws, Jaswa believes there is legal justification for treating NYCHA more like residents of private apartments when it comes to handling maintenance problems. The state’s Public Housing Law Section 101 requires that municipalities “provide for the tenants of such project, police, fire and health protection services of the same character and to the same extent as those provided for other residents of the municipality.” Jaswa says that because the city is required to provide “health protection services of the same character” to public housing residents, he’d argue that NYCHA residents should be entitled to HPD inspections. Lapeyrolerie, the City Hall spokesperson, expressed skepticism about Jaswa’s interpretation of “health protection services” and said that NYCHA residents are already provided the same health protection services as other residents because they receive the same access to Department of Health services. City Hall did not respond to arguments that the Housing Maintenance Code applies to NYCHA. The debate over whether NYCHA should be handled differently than a private landlord and whether there needs to be more outside oversight will likely crop up with each new legislative measure. For instance, recently, NYCHA successfully made the case that it should be exempted from two bills that were adopted by the Council addressing indoor allergen hazards and mold remediation. NYCHA executive offices also need to stop mismanageing operational budgets; why move staff from 90 church st to long island city, to move the staff back from long island city to 250 broadway because they are renovating the office space??? Long island city was opened in 2004, then lets talk about all the executive staffers and 6 figure salaried psoitions in 250 broadway which were created under the DeBlasio administration – just compare the table of organization from 10 years ago to the present, hiring Director positions from private sector at a much higher salary than civil service titled. Add into the operational budget all the “Consultants” hired under the Olatoye Chair/CEO tenure, and lastly… how much $$ has been spent on the continuously change of title as well…. thats where the problem lies, executives are top heavy and developments and other areas can’t get competent staff, how they hire, promote, pass probation just eludes me, they get the bottom of the barrel. The real problem is developing a methodology for punishing public employees, particularly senior managers, for negligence or even deliberate refusal to do their jobs as required by law. – The Port Authority had fire exits at the World Trade Center locked on 9/11. – Smoke stop doors are chocked open at many public schools. – The main exits at the Queens Borough Hall have locked doors. – FDNY does nothing when called to inspect open smoke stop doors or locked fire exits in public buildings. – NYC DOT employs city planners to do engineering work in violation of the Education Law. – NYC DOT refuses to obey federal and state law to comply with the MUTCD. Distruct Attorneys refuse to act. Heat is the No. 1 weather killer in the United States. And New York City is about to get a big batch of it.